We offer a reliable service at a competitive price utilising expertise that come with years of experience in the trade. We aim to supply a sound roofing service, offering strong craftsmanship that withstands the test of time while ensuring the customers needs are met. 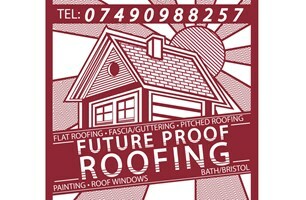 We Have been providing roofing solutions to the Bath and Bristol area for many years now and take pride in are work. Offering a large number of roofing services. Positive feedback is important to us, so paying close attention to detail is common practice. I am happy to work within a 14 mile radius. I have a reliable van so its not a problem for me to travel.